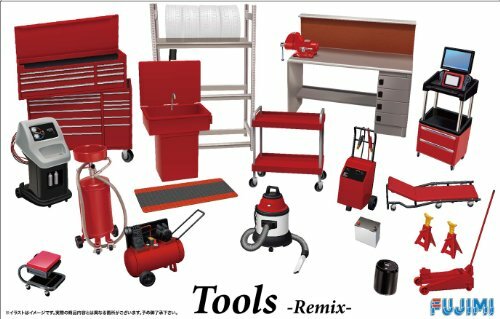 Fujimi 1/24 Garage & Tool Remix set contains the multiple un-assembled and unpainted plastic models. You have to bring all the parts together and make the model. Each model has the detailing, which you can highlight by painting the model. It is the best gift for the kids and adults, who love to create models and produce something new. Buy it by hitting order now from Amazon Pakistan and get it at your home door.